Heat a medium, deep skillet over medium heat. Add butter. When butter melts, add flour and combine. Gently cook, whisking flour and vegan butter together, until smooth and flour has had a chance to cook and slightly brown (tan color), about 3 minutes. Slowly add vegan milk that has been warm in the microwave for 2 minutes, continuing to whisk while adding. Gently bring vegan milk to a bubble while stirring frequently. Allow the vegan milk to thicken a bit, then stir in 1 1/2 cups of shredded cheddar cheese a handful at a time. Season sauce with nutmeg, mustard, nutritional yeast, and salt &pepper. Taste and adjust for seasoning. Add cooked pasta to sauce and coat completely by turning over and over in the cheese sauce. In a small bowl combine the vegan cheese, vegan Parmesan, nutritional yeast, panko bread crumbs, parsley, salt & pepper, lightly mix ingredients until cheese is separated and mixture is combined. Add Oil and mix again until everything is coated. 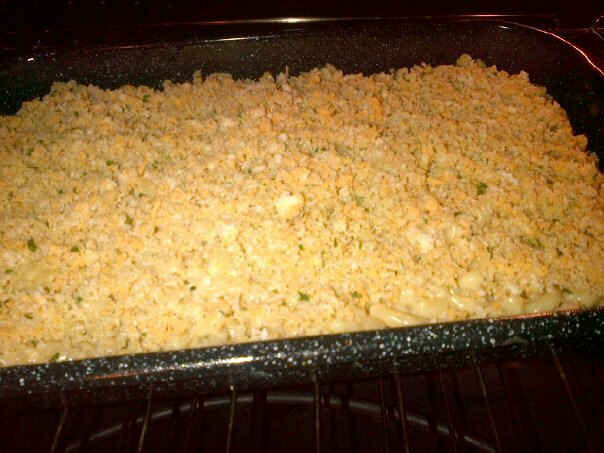 Transfer mac and cheese into a baking dish and top with vegan cheese and bread crumb topping. Place baking sheet in a 375 Degree oven for 20 minutes or until panko crumbs lightly brown and cheese melts. Take out of the oven and let cool until ready to serve, serve with salad or your favorite vegan proteins. Enjoy! 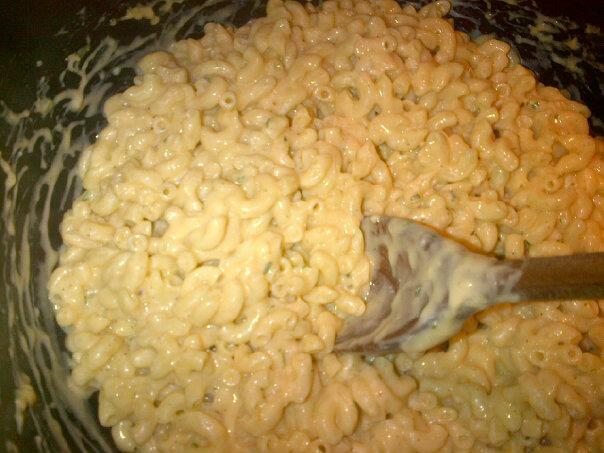 -If you like your Mac & Cheese more orange in color, Add all cheddar, I mixed and it makes it lighter. Completely your choice, either way its going to taste delish! Enjoy!